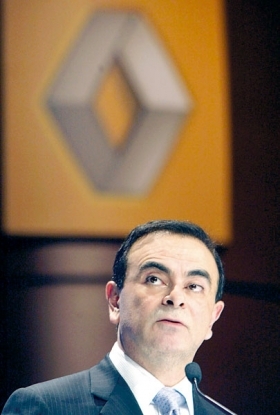 Renault CEO Ghosn sees recovery for U.S. market starting by year-end. PARIS (Reuters) -- The European automobile sector is unlikely to see a recovery before 2011, the head of French carmaker Renault said in a newspaper interview published on Wednesday. "I don't see it in Europe before 2011. I see 2010 at the same level of 2009, with ups and downs," Renault CEO Carlos Ghosn told the International Herald Tribune. "If scrapping incentives were to continue for a while, it would be a different story. Stopping the incentives would have a recessionary impact," added Ghosn, who also said that he saw a recovery in the U.S. auto sector by the end of 2009. The world automobile sector has seen a slump in demand caused by the global economic slowdown.